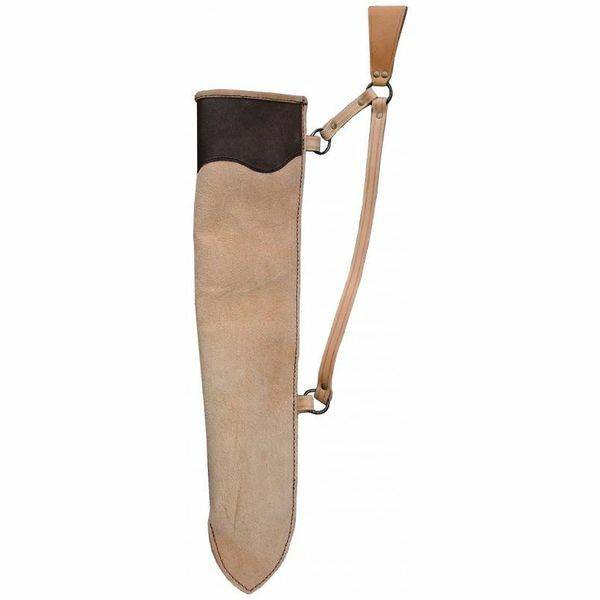 This basic quiver is made of a high quality leather. It can hold up to approx. 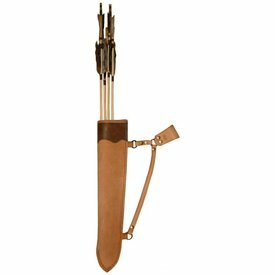 10 arrows and can easily be attached to a belt. 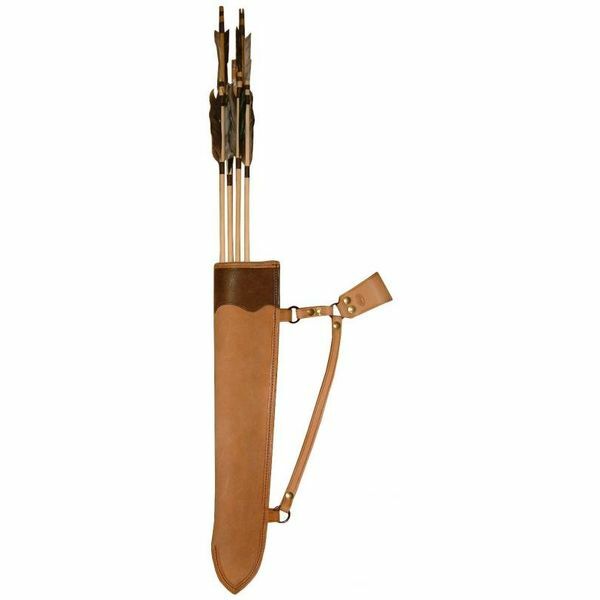 It is suitable for both left-handed and right-handed archers. 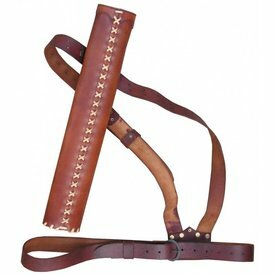 It can be made in several leather colours; black; brown and un-dyed and can be made for arrows with a length of 50 cm; 55 cm; 60 cm; 65 cm; 70 cm; 75 cm or 80 cm.